I have to be honest, when I woke up this morning and stepped on the scale I was very disappointed. I couldn’t believe my eyes. I had gained a pound in a week. This was the first time in four months that I hadn’t lost any weight in a week’s time. Just before stepping on the scale, I thought to myself; if I only lose one pound, that would be okay…but the way I feel, I’m pretty sure I’ve lost two or three pounds. I even entertained the possibility that I could even have hit 189. I knew it was a stretch, but I had been working sooooo hard, I thought it was in the realm of reason. So again, I was shocked when the scale indicated that I had gained weight. I got off the scale and started to contemplate; Had I done anything different? Had my food changed? Had my exercise changed? Nothing pointed to any lax behavior which would cause the gain…and then it hit me…I had to have gained muscle. I had lost fat and gained muscle. In the last week my clothes were fitting looser. I could see the definition in my upper legs emerging from cycling at least 15 miles…everyday. My waist seems smaller and my pants were looser. In four months I have gone from a 40″ waist to a 32/34.” But, even with this realization, I still wasn’t embracing the big picture. 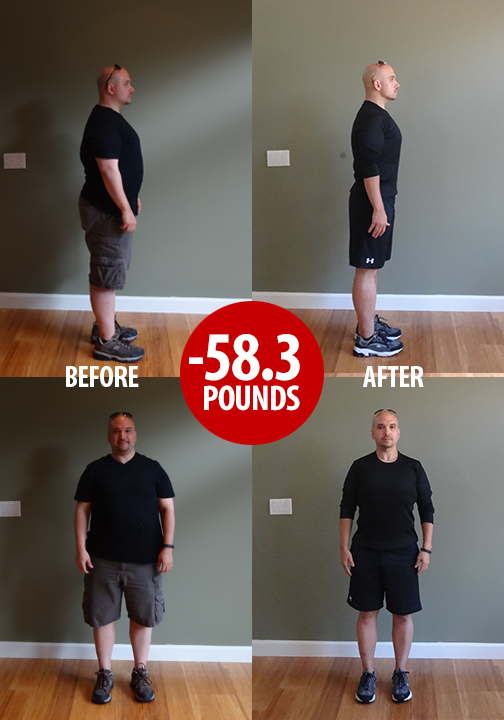 I was still focused on the one pound gain…until I took my 120 day pictures…WOW…what a reality check. Looking at the AFTER pictures, I could really see how my body has transformed, not only in the last four months, but in the last 30 days. 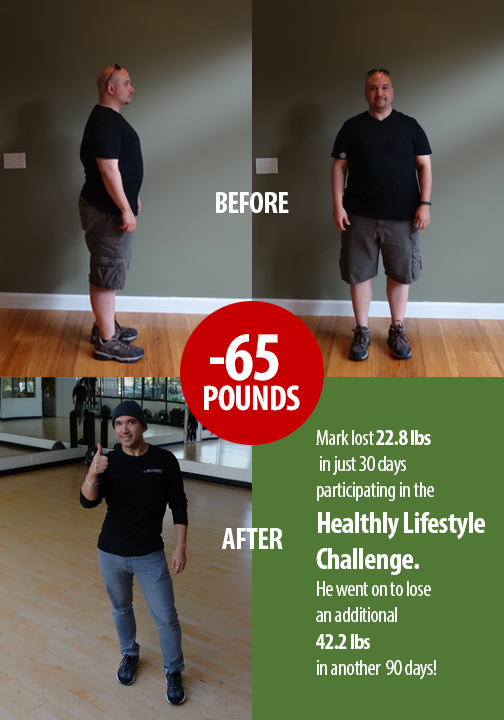 It’s for this very reason why it’s so important to take before, during, and after pictures as you lose weight, gain muscle and move towards a healthy lifestyle. People are walking up to me and calling me “skinny.” In relationship to what I was four months ago, I guess I am skinny. It’s hard to believe that I could be called skinny at 195 pounds…but then again…it’s all relative. It’s not as though I’ve been sitting on the couch consuming an unhealthy liquid diet without exercise (hello, can we say Optifast?! Gross). On the contrary, I have been committed to exercising and building a better body through exercise, daily! It doesn’t matter how much I weigh, it matters how much my percentage of body fat is actually decreasing…and that is going down steadily. Again, the pictures don’t lie. My closes fitting looser don’t lie. Measurements don’t lie. Yesterday was a busy day (as so many of them are these days) and the sun was beginning to set when I went for my usual daily bike ride. I try to go early in the morning, but it doesn’t always work out for me. My commitment is daily exercise, and I’m open to however that shows up in my life. It could be a bike ride or a walk with a friend. It could be a run or a friendly tennis match. It could be a 30-minute swiss ball workout or a hike with a colleague…However exercise show up is just fine with me as long as I stick to my commitment of choosing it daily. So far daily exercise has not been a problem. I look forward each day to working out and exercising my muscles. It’s become a tad bit addicting. I’m not so much addicted to the endorphin rush as I am excited about how, at 46 (47 in less than 30 days), my body is performing better than it has been in some time. I feel like I’m in my twenties…seriously, I do…and I was in good shape in my twenties. I had never experienced such a feeling. I’ve been active all my life (sometimes more than others), but I have never embraced exercise as a gift and privilege…I always perceived it as a necessary nuisance to achieve good health. Exercise, for me, was the price you paid for the chance of living a quality life. It never occurred to me that being able to exercise is the evidence of living a quality life. It has become clear to me that exercise–the harmonious moment of your body–is a gift to yourself…a symphonic-like reminder of the incredible machine that you are. I pray that I never forget that…and in not doing so…I celebrate every movement my body allows me to create until my last dying breath. Starting another challenge...that I'm running at MY club! I will be weighing myself EVERYDAY again. Here I Go Now…on Facebook!